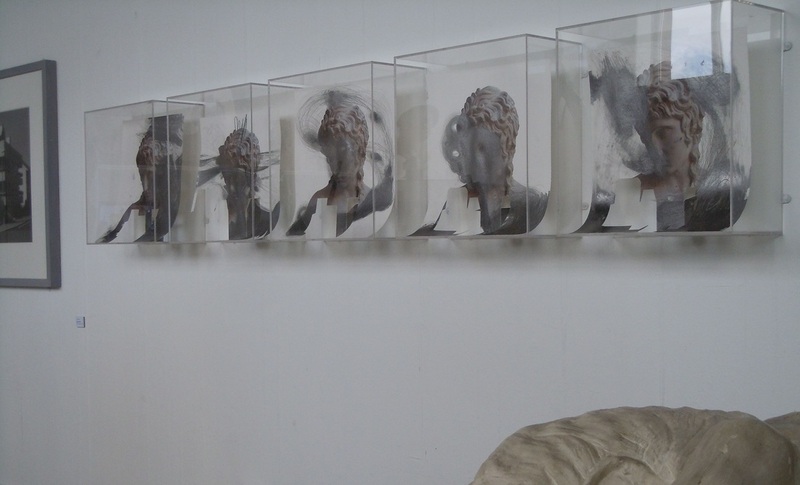 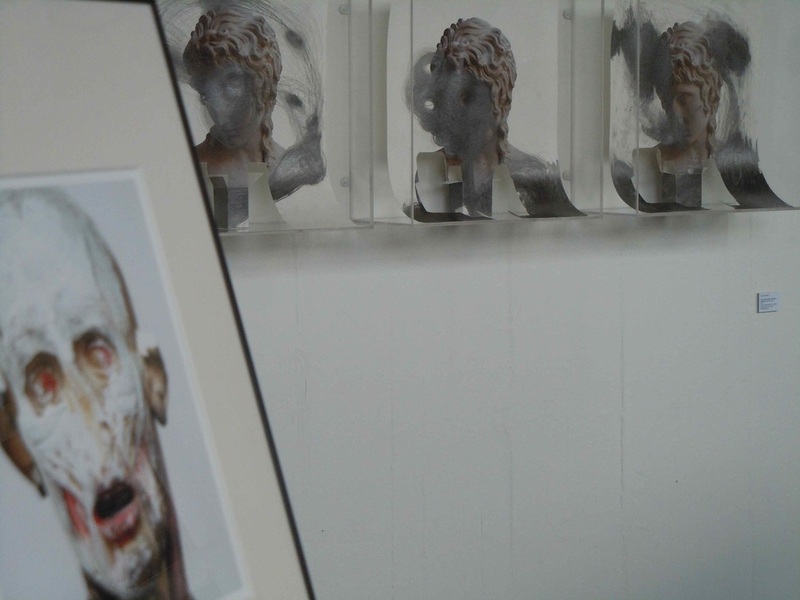 As lead-artist and curator of Cast Contemporaries my aim has been to explore how contemporary artists respond to the forgotten casts that have been stored away in college basements and art school cupboards for decades. 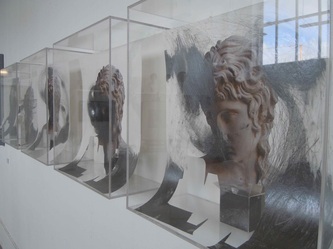 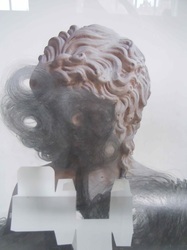 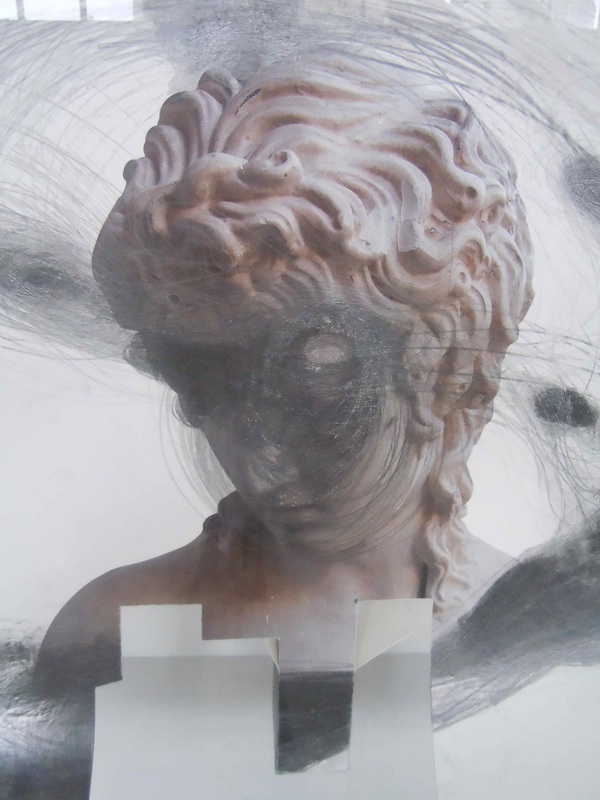 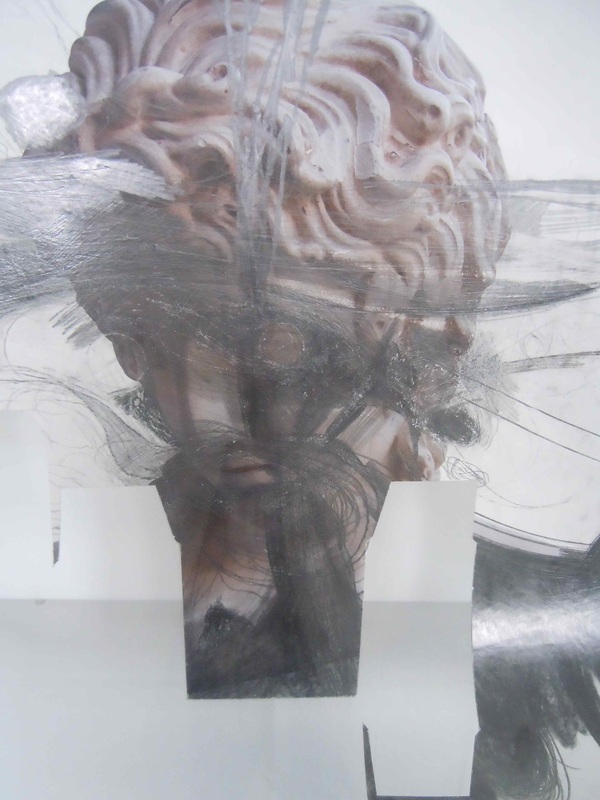 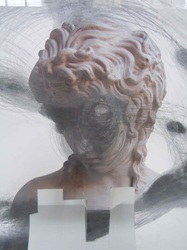 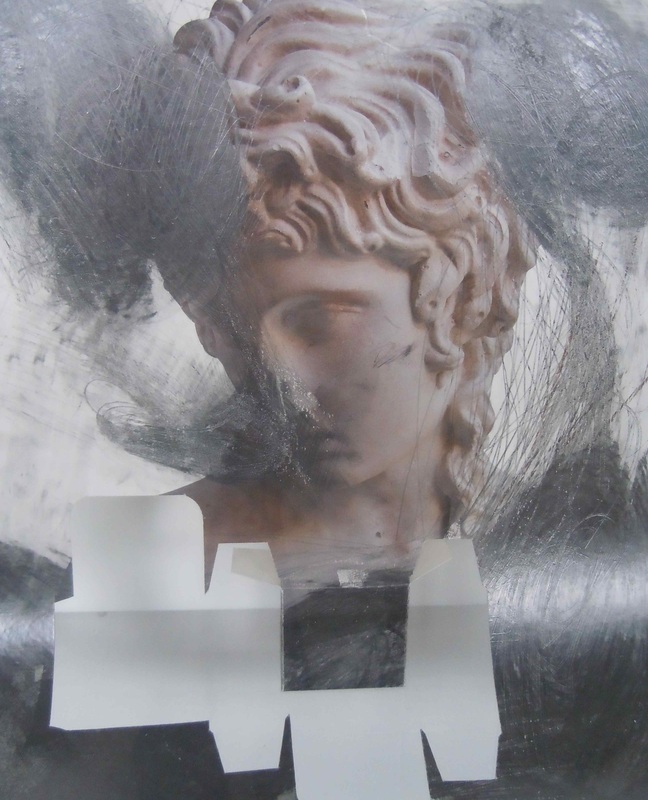 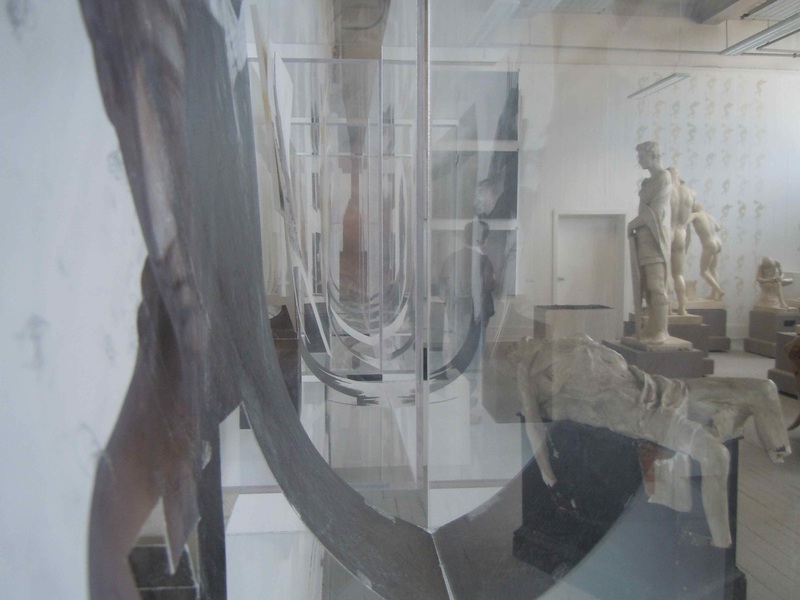 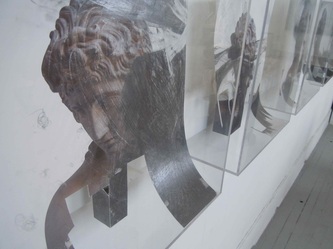 Chancing upon an anonymous anatomical figure or an unrecognised Greek sculpture, dusty and broken, can sharpen our awareness of 'contemporaneity' in the arts. In relation to the discarded Centocelle Eros I discovered behind a table in a photocopier room at Northumbria University, the unexpected survival of a cast has triggered new interests in the contested notions of sensual and aesthetic pleasure associated with Neoclassicism, a world away from the 'brutalist' 60s environments of UK’s ex-polytechnics. 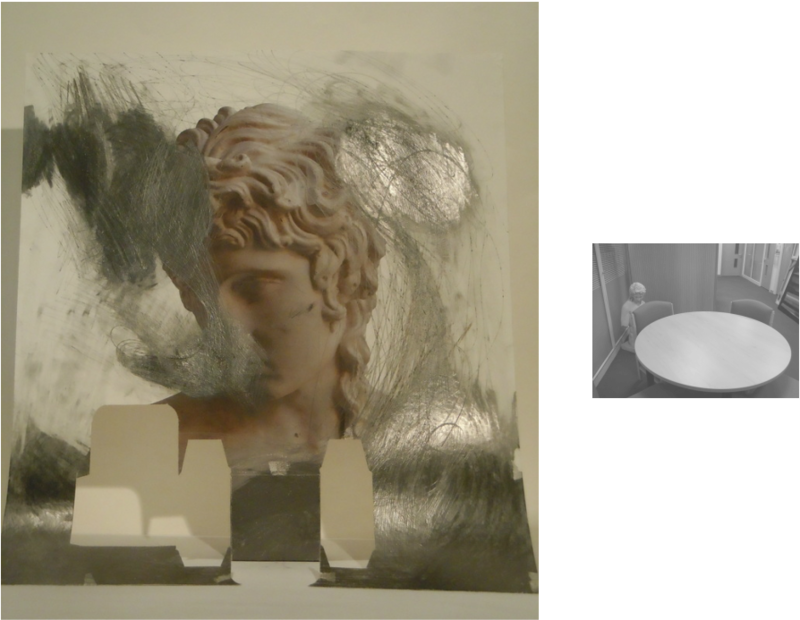 The over-drawings I have produced for the exhibition at Edinburgh College of Art explore these contrasting sensibilities. 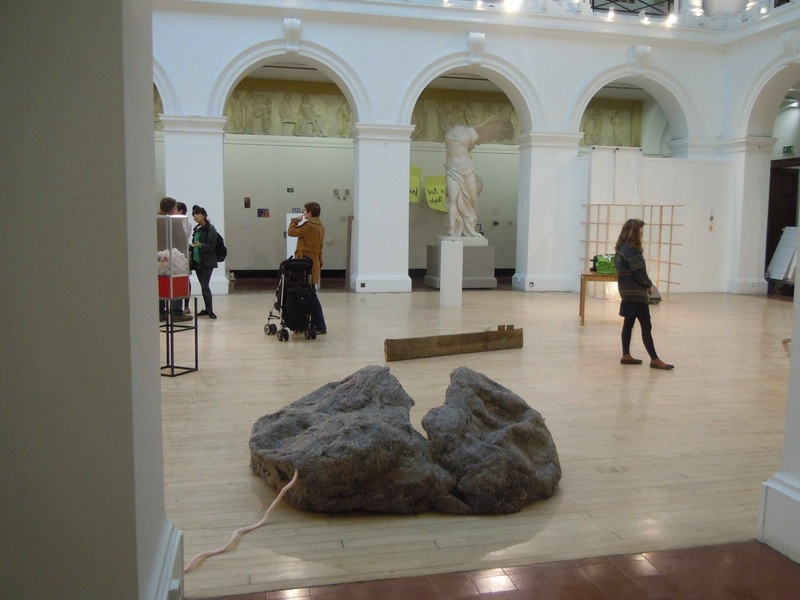 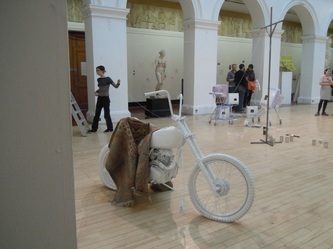 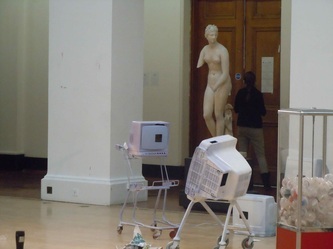 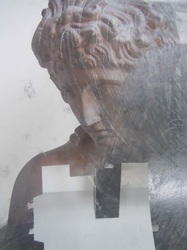 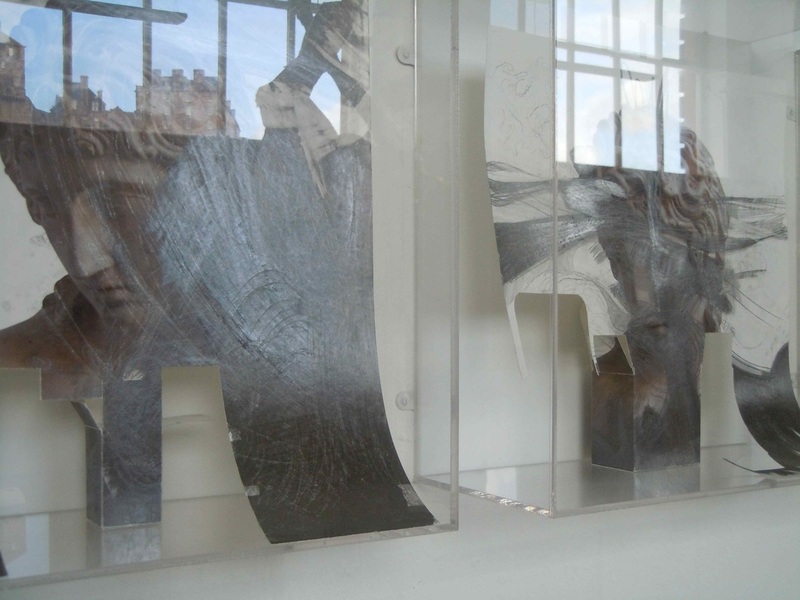 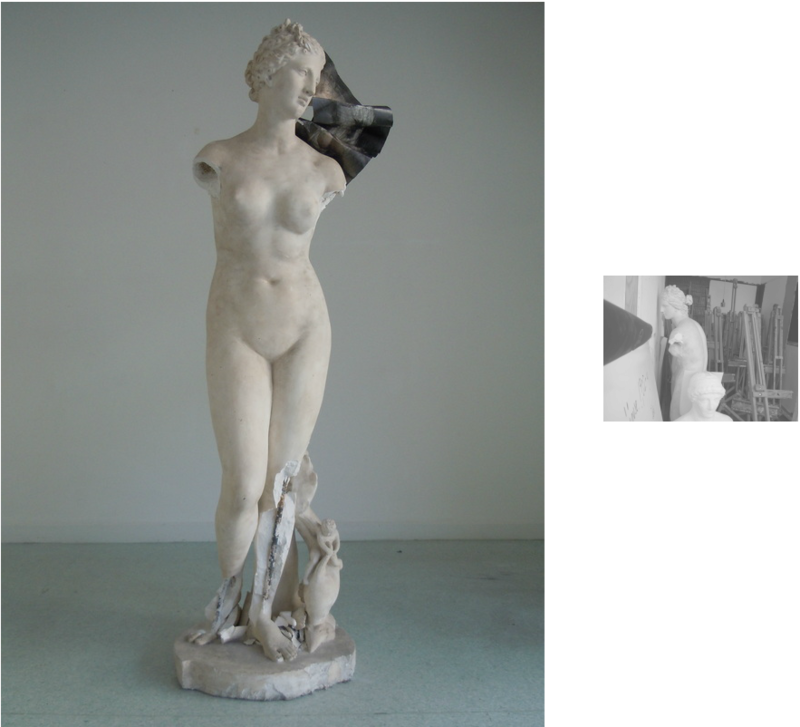 On an early research visit to Edinburgh College of Art in 2011 I noticed how easy it was to ignore plaster casts. 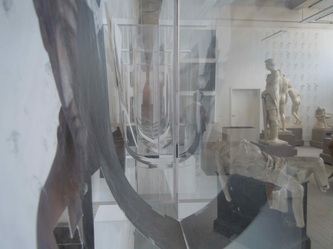 Exhibitions of student work were installed in the central court as if the Classical sculptures were not present. 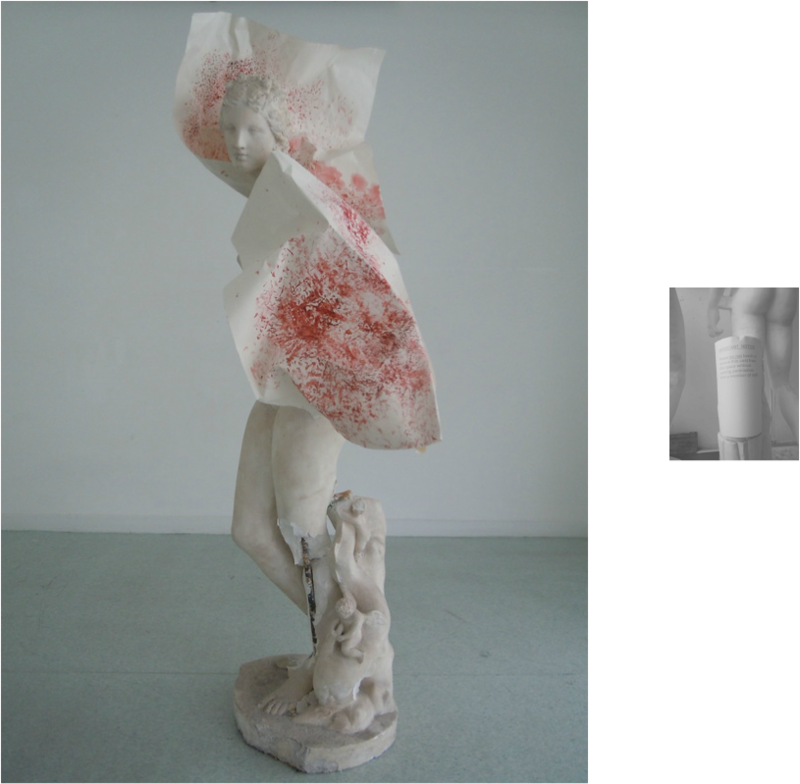 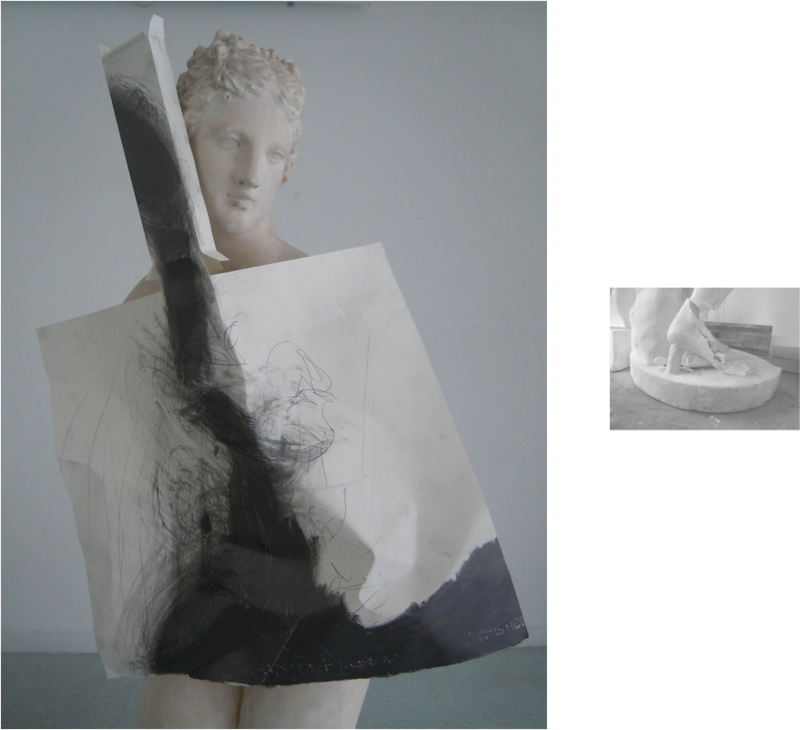 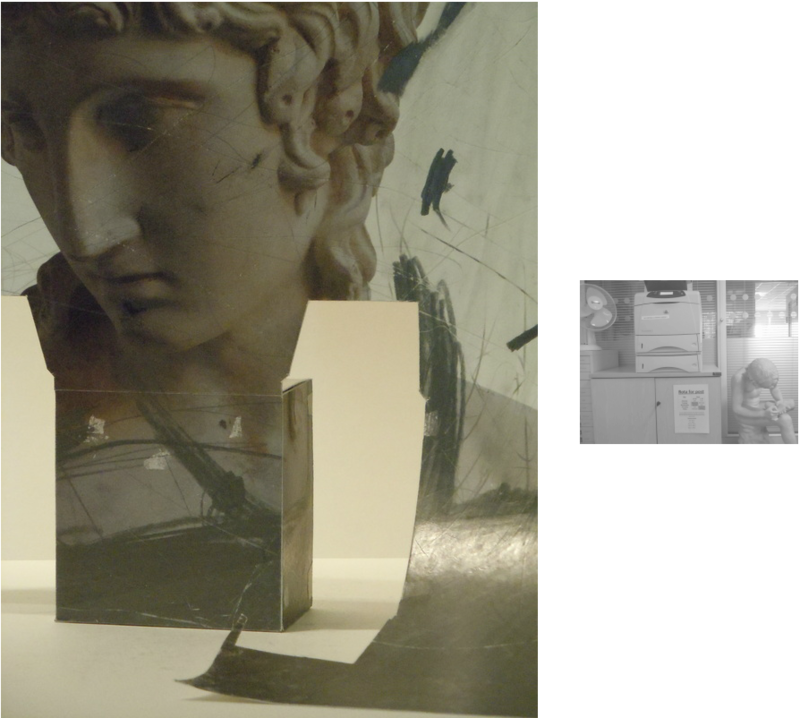 On this basis I began a series of drawing attached to a cast of the Medici Venus that I had located behind screens in the painting studios at Northumbria University.